Deep Roots Music Festival 2018, 15th year, gets underway tonight. 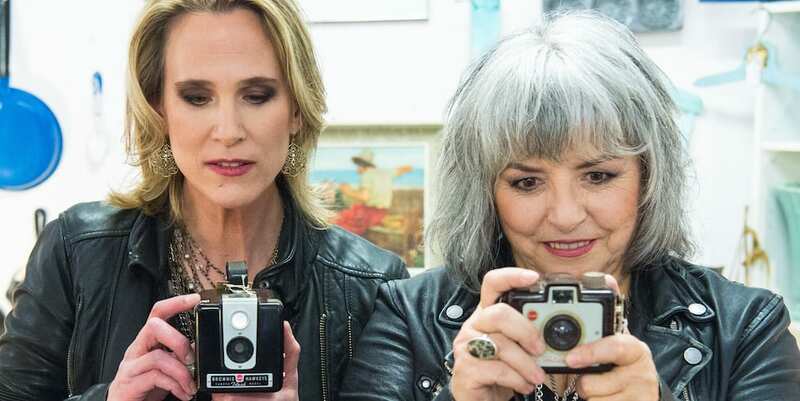 Check out this great article in the Chronicle Herald talking about some of the performers at this year’s festival, and then … do it!!! You will get your money’s worth if you buy those tickets now. 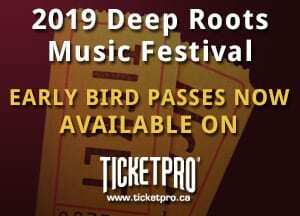 The 2018 Deep Roots Music Festival – our 15th year – is fast approaching! The Festival Program Booklet and two page Schedule are both now available on line and/or for downloading. There are decisions to be made … check out the many great events happening this year and purchase those tickets. The weekend pass – 3 or 4 days – is still the best deal. Let’s you take in as much as you can (late night dance parties and a couple of off-site performances not included) and generally hang out in the pulsating beat of the festival vibe. Saturday – Lots of free events … Wolfville Farmers’ Market, Children’s Activities, Singing and Drumming, Fresh Beats Rhythm Parade, Marionette Show, Workshops, Songwriters’ Circle, Open Mic at Festival Tent … and more! PASSES/TICKETS – Early Bird ends June 21 & Get Jim Cuddy tickets now! Heads up people … the early bird price on the 3-day pass ends at midnight on June 21st. Right now you can get that pass for $94.10 all in. After June 21st, the 3-day pass goes up to $112.50 … still a great deal, but not as good as the early bird, so what are you waiting for? Go to Ticketpro now. The Deep Roots Music Festival is delighted that Canadian Music Hall of Fame inductee Jim Cuddy will kick off this year’s 15th edition at University Hall on Thursday, September 27th. 2017 Juno Award winner William Prince will open for Cuddy, and also give an intimate talk on Friday, September 28th as our Artist@Acadia in the Garden Room, K.C. Irving Centre, Acadia University. Although the assistant festival coordinator position has been filled, another exciting opportunity has become available. Deep Roots Music Cooperative has been awarded funding to hire an ASSISTANT DEVELOPMENT COORDINATOR for the summer of 2018. Are you a student returning to full time studies in the fall and interested in joining our dynamic team?